Sometimes life can fall into a monotonous routine, wake up, shower, work, dinner, chores, sleep only to have to repeat it 4 more times, break up the routine with the weekend and begin again. Don’t let that determine that that’s all there is to life! It is the journey as well as the destination! Yes, we all have things that need to get done and most of us have somewhat of a schedule but that’s not all there is to living. Love is all around you, choose to embrace it; it makes each day worth while. It is in your family, friends, nature – take a moment to think about it. Your purpose may not seem evidently clear to you, but you are important in ways you don’t even know. So many of life’s great moments are waiting to happen, don’t think it all away. Enjoy your choices, get out and live life, warts and all. Experiences await you, things that make a difference in your life and in others. Live, love life! This past weekend we celebrated Mother’s Day in a way we never have before. We decided to take mom out for the day and treat her, along with ourselves, to a relaxing day out. What we discovered was that it was not what we did that was so unique (shopping, spa, dinner) but rather the newness of the experience that we shared together that made it special. We do not usually focus on ourselves as much as we probably should. We find that we are caregivers most of the time. And although we certainly shop and have dinner out, going somewhere new and different turned the day into a celebratory one. We were three generations of women that Sunday, each one of us with a different perspective and point of view. Getting away for the day served to give us shared memories that will last forever. Holly & Heather’s Helpful Hint: Chicken! We always get a great response from our food blogs so we thought we’d do one more! These are our “twin takes” on a favorite ingredient – chicken! Enjoy! Cook the pasta according to package directions. Add the peas during the last five minutes of cooking time. Drain well. Pour into a large bowl. 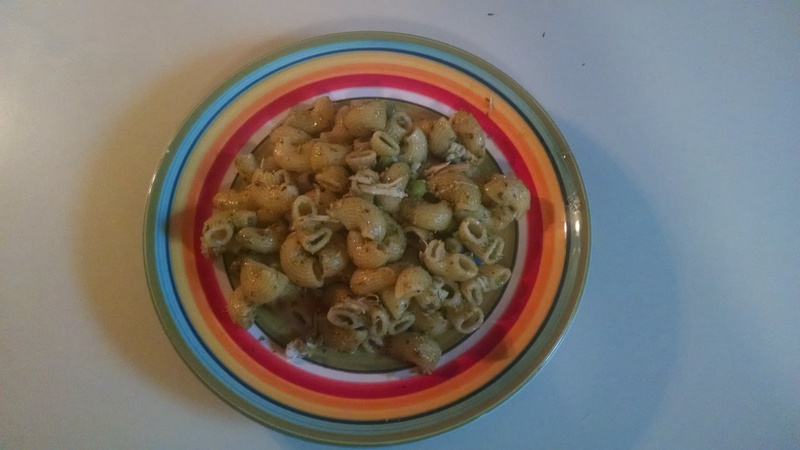 Stir in the pesto and chicken. Serve warm or refrigerate and serve cold. In a large mixing bowl, de-bone the chicken using only the meat (no skin or bones). Add the mayo, salt and pepper and mix well. 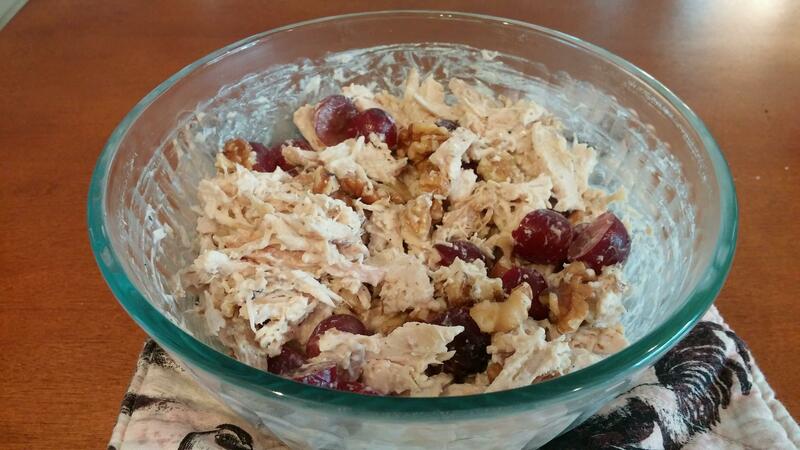 Add the grapes and walnuts and stir to combine. Refrigerate or serve immediately on toast, crackers, lettuce leaves or eat it all by itself! We love to entertain and with Easter behind us we thought we’d blog about some of the small treats we enjoyed that day as well as give some “helpful hint” ideas to all the entertaining that lies ahead of us! Memorial Day will soon be here…. 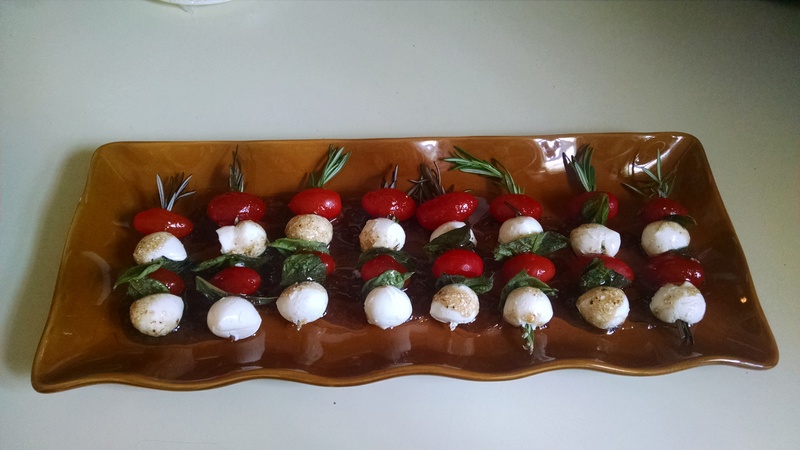 Using the rosemary sprigs as “skewers”, alternate mozzarella, tomato and basil. Drizzle with vinaigrette before serving. Cut up the chocolate into little pieces and place in a glass bowl. Heat the sugar and a half cup of the cream and then add it to the chocolate and stir well until all is melted and blended together. Put the remaining cup of cream in a bowl and blend until stiff. Pour in the chocolate mixture to the whipped cream and combine. 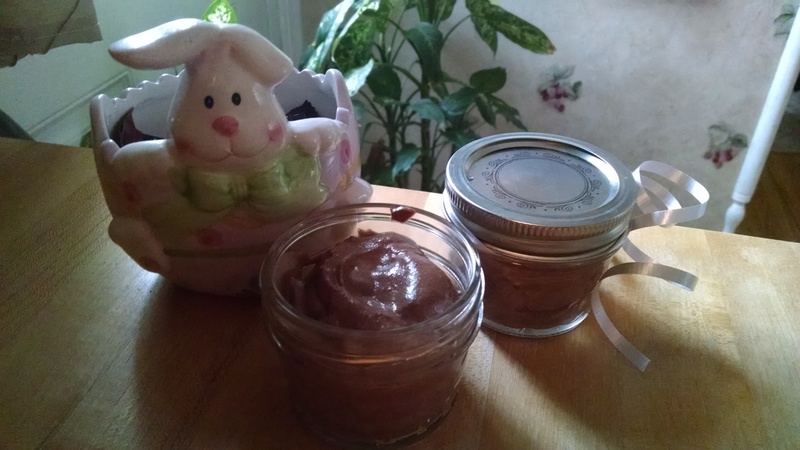 Divide up the mousse into little jars and refrigerate until serving time.